Purdue tornado expert, Jeff Trapp, will be the featured speaker at the next Science on Tap. WEST LAFAYETTE, Ind. 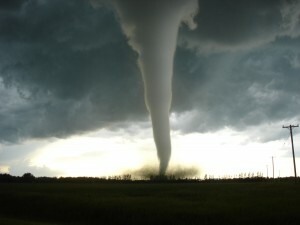 — 2011 will go down in history as one of the deadliest and most destructive years for tornado disasters. Where: Upstairs room of the Lafayette Brewing Company, 622 Main St., in Lafayette. When: 6:00pm on Thursday, August 25th. Cost: Science on Tap is free and open to members of the public age 21 or older. To set the stage for his Science on Tap talk, Trapp will summarize what is known about how a tornado forms. From there, he will discuss the human response to a tornado and whether this can be modified to mitigate its impact. So far this year, the tornado death toll is 546, including 364 in April and another 177 in May, generally the two busiest months for twisters. In the May 22 tornado that devastated Joplin, Mo., 151 people were killed. Overall, this year ranks fourth in tornado fatalities, still well behind the record 794 deaths in 1925. The National Weather Service reports that there have been an estimated 1,475 tornadoes so far this year, and the current record of 1,817 tornadoes was set in 2004. The overall yearly average number of tornadoes for the past decade is 1,274. Trapp was one of the principal investigators of the second Verification of the Origins of Rotation in Tornadoes Experiment, or VORTEX 2, field study in 2009. The $9 million project, funded by the National Science Foundation and the National Oceanic and Atmospheric Administration, focused on ways to improve tornado warnings and how to better understand why they occur as part of the largest tornado and storm field study in history. The study involved scientists from 14 universities and institutions for sampling super cell thunderstorms and tornadoes that form over the Great Plains of the United States. 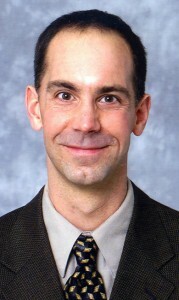 Trapp also was involved in the first VORTEX study in 1994 and 1995. During VORTEX2, Trapp’s research group and other Purdue students helped field the Doppler on Wheels, or DOWs. The DOWs are mobile weather radars designed to capture data underneath and within super cell thunderstorms and tornadoes. Trapp’s group is using the DOW data to improve the accuracy of the tornado record and to develop methods to better use available weather data for predicting a tornado. In a 2007 study published in the journal, “Proceedings of the National Academy of Sciences,” Trapp suggested that because of global warming, locations could see as much as a 100 percent increase in the number of days that favor severe thunderstorms and tornadoes by the end of the 21st century. “The densely populated regions of the South and East, including New York City and Atlanta, could be especially hard-hit,” he said in the study. Sponsors for Trapp’s Science on Tap talk are Discovery Park and Purdue’s College of Science along with the Department of Earth and Atmospheric Sciences, which is providing funding for food at the event. Science on Tap, led by Purdue graduate student Patrick Dolan and postdoctoral students John Paderi and Kate Stuart, provides faculty from Purdue the opportunity to share their research activities in an informal setting, touching on subjects and providing presentations that are designed to appeal to a more general audience. Attendance at the monthly event has averaged 80 during the program’s first year.